This summer Nozstock: The Hidden Valley celebrates its 20th anniversary, entering a small group of festivals who have reached two decades. It’s a huge achievement for the family-fun festival which is set across their working farm in the rolling hills of Herefordshire. 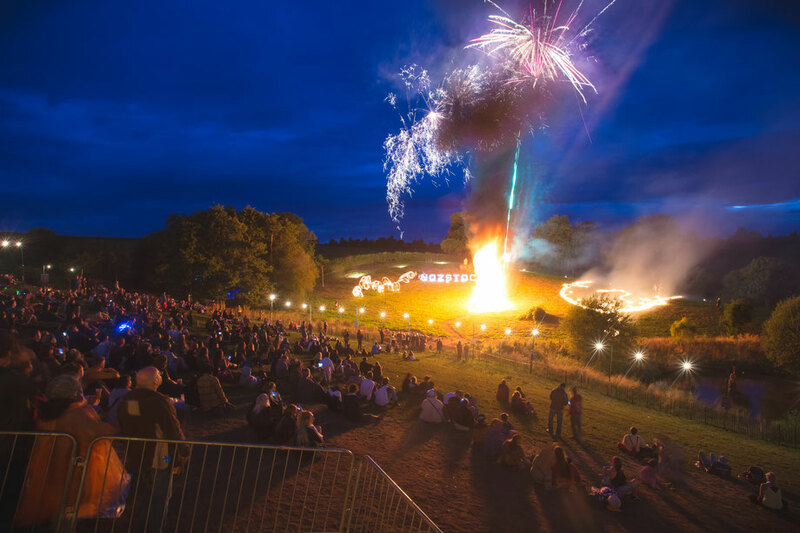 It is an event which has grown from a group of like-minded friends gathered together many years ago into an experience of wonder and enchantment for all the ages across Friday 20-Sunday 22 July. The Nozstock team are proud to be revealing the first round of artists joining them for their birthday celebrations. As ever, it’s a kaleidoscopic mix of headline names, up and coming talent and seasoned stars forming a range of styles across the event’s ten intimate stages. On the live side, Goldfrapp, The Selecter, Dub Pistols, Macka B, Electric Swing Circus, Kiko Bun, The Lovely Eggs, Oh My God! 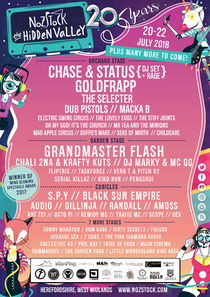 It’s The Church, Mr Tea and The Minions, Mad Apple Circus, Buffos Wake, Childcare, Catholic Action, Seas of Mirth, The Stiff Joints and many more are revealed, and from the DJ side there’s Chase & Status (DJ set + Rage), Grandmaster Flash, Chali 2na & Krafty Kuts, DJ Marky & G.Q, Black Sun Empire, S.P.Y, Audio, Dillinja, Randall, Sonny Wharton, Taskforce, Verb T & Pitch 92 and many more.